Capturing a surreal sky in a metallic colour scheme, the Wall Covering Illustrative Collection is suitable for the finest of interiors. 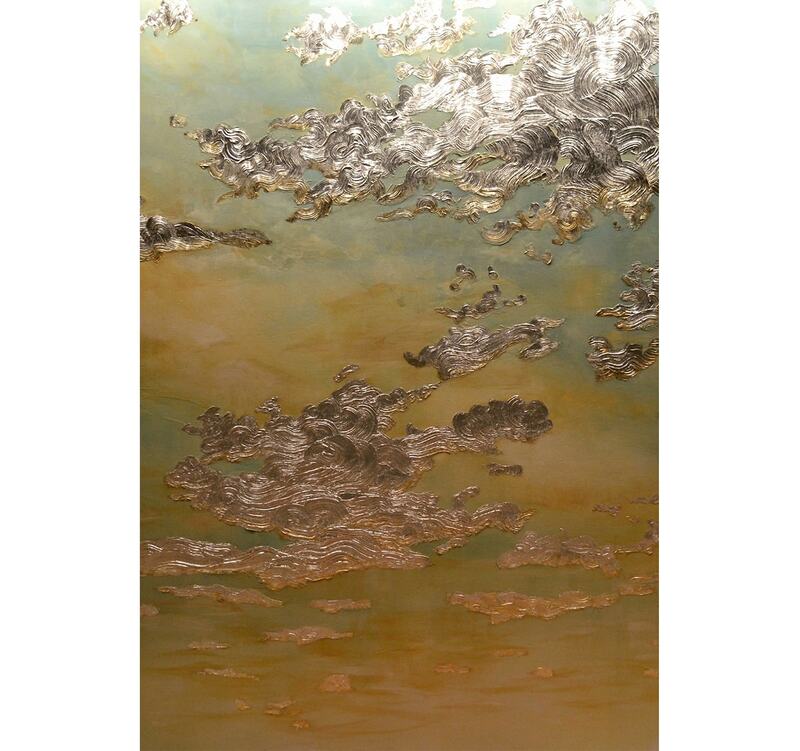 Each panel is hand painted and gilded with precious metals to create the impression of a swirling sky full of dazzling clouds. 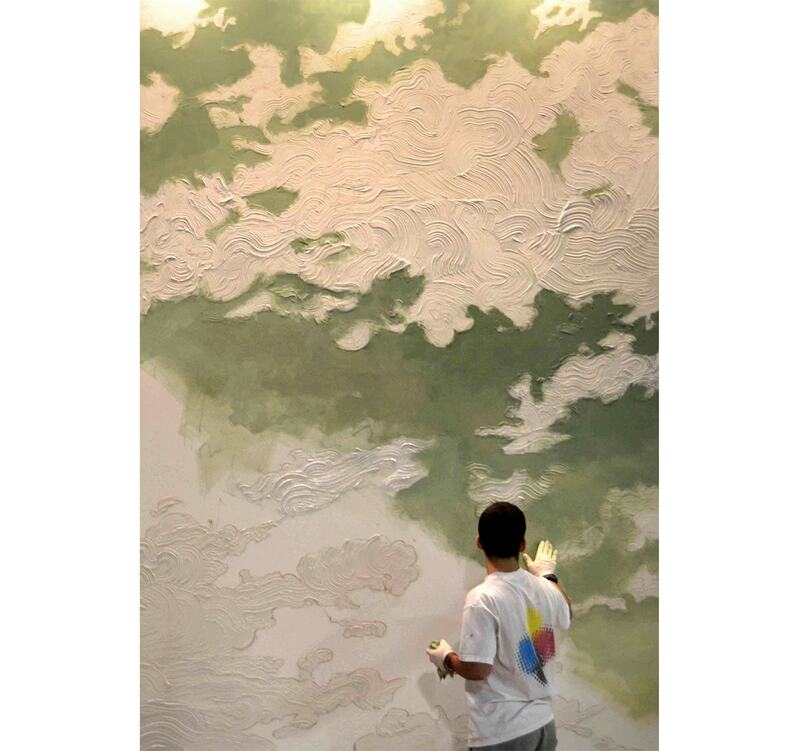 The thick texture of the paint creates an amazing three dimensional effect. Made by Gorman Studios, a world leading design collective specialising in amazing surfaces.